Adding more fuel to “Red October”, I presented the final product to my teammates. With a communal nod of approval, we rushed over to the crowd. It was the semi-finals. Teams Heil Hydra! and The Archimedean Hawks ignited their engines and set their vehicles onto the starting line. Nascar? F1? Nope, even better. Homemade steamboat races! Throughout the cheers and yelling, we discovered that more isn’t better. Flames were devouring Team Heil Hydra!’s Red October. Down went the ship. Despite the loss, the kids learned about steam as a source of energy, experimentation, and teamwork. Although it may have been hard to tell the first day, by the end of this fourth day of the camp, all students were visibly excited for another day of the InnoWorks summer program at Caltech. What is InnoWorks? 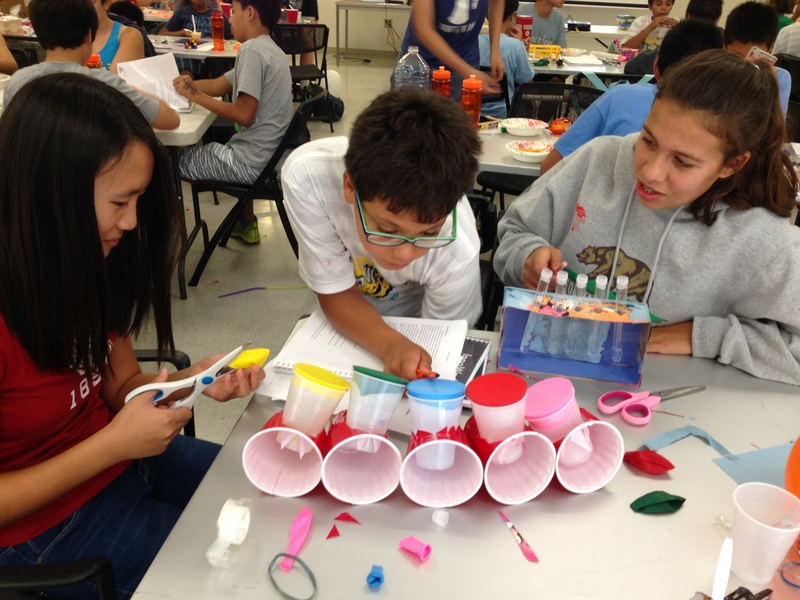 An engaging summer program aimed for middle school students with disadvantaged backgrounds, InnoWorks offers a free of charge opportunity to dig into the worlds of science, technology, engineering, mathematics, and medicine (STEM^2). In his own life experience, William Hwang (founder of InnoWorks) was blessed with the opportunities to attend several summer camps throughout his childhood, but he had a friend who did not share the same opportunities. Sparked with the desire to start something, Hwang founded the non-profit organization, United InnoWorks Academy. 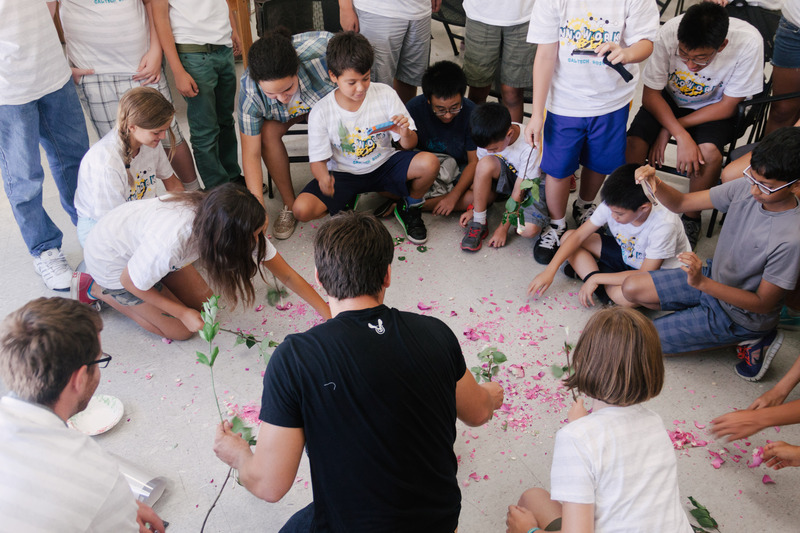 With the first program to begin in 2004, the InnoWorks Academy developed these summer programs to help provide underprivileged kids with hands-on activities, team-building activities, and fast-paced competitive missions. 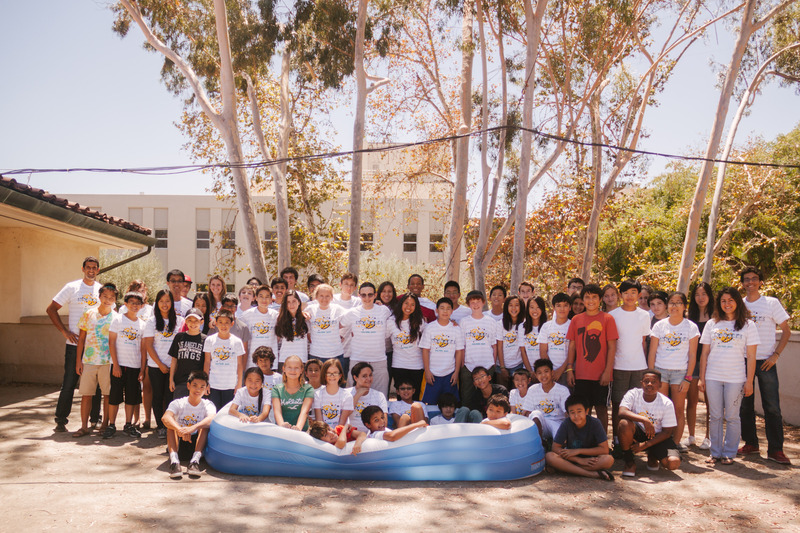 Starting with just 34 students and 17 volunteers in a single chapter, InnoWorks has now grown to more than a dozen university chapters that have hosted above 60 summer programs for 2,200 middle school students, all done with the help of over 1000 volunteers. Monday, August 11th, 2014 marked the first day of Caltech’s 3rd annual summer InnoWorks program. Last year, my younger brother participated in the program and had such a great experience that he wanted to become a junior mentor this year. After researching the program and listening to my brother’s past experiences, I was ecstatic to accept this journey as a mentor for Caltech’s InnoWorks program. Allow me to take you on a ride through my team’s and my own experience of InnoWorks. First Day of Caltech InnoWorks 2014. My first team member that I checked in was Elliot. “Are you ready for InnoWorks! ?” Perhaps I was a little overly excited. I received a shrug and “What’re we eating for breakfast?” Not the response I was hoping for, but that was going to change. As the rest of my team, which included Frank, Megan, Ethan, and my junior mentor, Elan, arrived, I began peppering them with icebreakers left and right. Soon enough, we dubbed ourselves Heil Hydra! and by the end of the second day, I couldn’t get them to be quiet. Sometimes they would have endless questions, which was great! Isn’t that what science is all about? Camera Obscura. After a short explanation of light, and how a lens works, we split the room up into 3 groups to build their very own camera obscura, which is an optical device that projects an image of its surroundings onto a screen (or in our case, the ground). Using a mirror, a magnifying glass, some PVC piping, and a black tarp, the kids constructed a camera obscura. I was impressed by how many students encumbered the heat of the black tarp and concrete all in the name of science. Build Your Own Instrument. The title says all. I let my junior mentor, Elan, lead the group in this activity. Tasked with creating an instrument based on accurate pitch of 3 whole note tones, creativity, efficiency, and performance, the students went straight to work. Children have endless imaginations. Give kids PVC pipes, rubber bands, balloons, cups, and paper clips, and they’ll make everything! Working together, the groups created an instrument (often more than one) to present in front of everyone. Teams were required to explain how their instrument created sound (vibrations), and attempt to play “Mary Had a Little Lamb” (which most succeeded). I came across paperclip rain sticks, PVC didgeridoos, test tube pan flutes, red solo cup drums, and even PVC balloon catapults and rubber band ballistas! Liquid Nitrogen. One of the highlights of the camp was liquid nitrogen! We were very honored to have Glen Evenbly and Olivier Landon-Cardinal, IQIM postdocs, join us. After pouring the liquid into a bowl, Glen showed the kids how nitrogen gas enveloped the area. Liquid nitrogen’s efficiency as a coolant is limited by the fact that it boils immediately upon contact with a warmer object, surrounding the object with nitrogen gas on which the liquid surfs. This effect is known as the Leidenfrost effect, which applies to any liquid in contact with an object significantly hotter than its boiling point. However, liquid nitrogen is still extremely cold, and when roses were placed into the bowl with liquid nitrogen, the pedals froze right before everyone’s eyes. Lego Mindstorms. The last activity of the camp was building a lego robot and programming it to track and follow a black tape trail using its light sensor. Since each of my team members had experience with these lego kits, they went to work right away. Two of my students worked on building the robot, while the other two retrieved the pieces. After awhile, they prompted each other to switch roles. Programming the robot was a struggle, but manipulating the code and watching the aftermath was all part of the experiment. After many attempted tries, the group was unable to accurately get the robot to follow the black line (some groups were successful!). However, without any outside help (including myself), Team Heil Hydra! programmed the robot to move and sing (can you guess?) “Mary Had a Little Lamb”. Teamwork for the win! Team spirit bloomed in my group – each day of camp my InnoWorkers agreed on a matching t-shirt color. As a mentor, I could not have been more proud. I know that I am not only speaking for myself when I say that the InnoWorks family, the students, and the program itself has burrowed its way into my heart. I have watched these students develop teamwork skills, enthusiasm for learning new things, and friendships. I have heard these students speak the minimal amount on their first day, only to find that their chatterboxes won’t stop the last day. To overlook InnoWorks as just a science camp where students come to learn about science is an understatement. InnoWorks is where students experience, engage, and conduct science, where they learn not just about science, but also about collaboration, leadership, and innovation. I must end on this last note: Heil Hydra! Editor’s Note: Ms. Rebekah Zhou is majoring in mathematics at CSU Fresno. In her spare time, she enjoys teaching piano and tutoring. 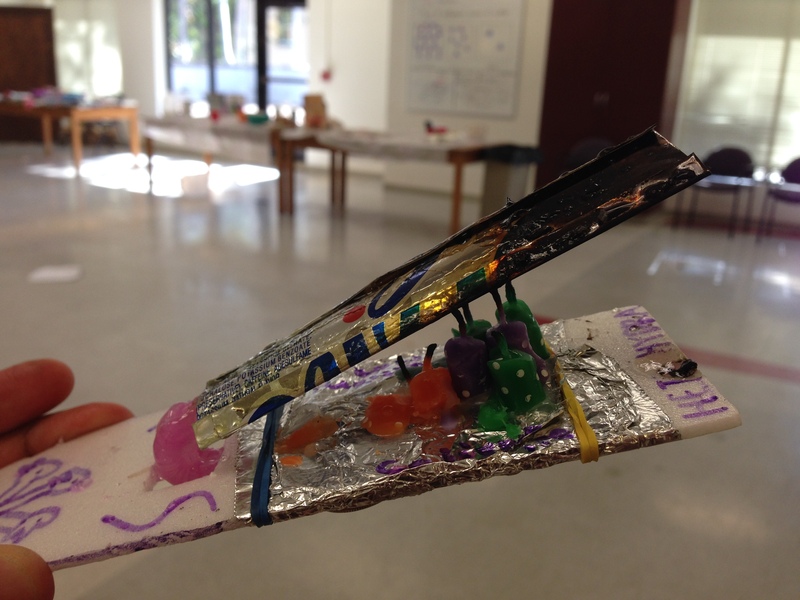 This entry was posted in Real science and tagged Innoworks, middle school, summer camp by rebekahzhou. Bookmark the permalink.